I’m supposed to be working on a homework for school tomorrow, but I honestly can only think of one thing right now: Sec. Jesse Robredo. His body has finally been recovered, three days after the plane crash, and though at the back of our minds we somehow already knew, the confirmation is nonetheless painful. First I remember his family and I pray for divine comfort, because there are no words that can ultimately provide that right now. I pray they may first have the privacy to mourn and grieve for their father, brother, son, cousin, uncle, and husband. Lord, oh that you will comfort them at this dark, dark time in their lives. I pondered on the collective grief almost everybody is feeling right now. In one way or another, we are deeply, deeply affected by his passing, even though most of us have never met him. You know why we are so heartbroken over his death? I realize it’s because he represented someone we BADLY need for our country. Uhaw na uhaw tayo bilang isang bansa para sa isang taong tunay na makabayan, isang taong tunay na may integridad, na may pagmamahal sa Pilipino at sa bansa. And he was that person, and more. He was one of us. Hindi siya mahirap abutin, hindi siya makasarili, hindi siya ipokrito, hindi siya tulad ng nakasanayan nating mga politiko. This is what stings. He was not like them. That’s why it hurts so much because we want someone like him, not someone like them. Photo credit: Alde Arlante, Jr.
Sawang-sawa na tayo sa mga trapo, sa mga ‘lider’ na puro sarili lamang ang iniisip; mga ‘lider’ na gusto lamang magpayaman; mga ‘lider’ na abusado sa kapangyarihan, na ninanakawan tayo hindi lamang ng pera, ngunit pati narin ang ating kinabukasan. When I look at the pictures of Sec. Jesse Robredo, I noticed he was almost always smiling. He seems to me as someone who genuinely loved to serve the people. We don’t always see that. Instead, we see politicians’ faces plastered on campaign materials, offering canned smiles, the ones taken in studios, photoshopped into backdrops of relief operations or something that hopes to elicit hope. Robredo’s was genuine. You know why I know? Because people attest to it. It’s not uncommon to meet Filipinos who have become cynical and pessimistic about our government. I think at one time in our lives, we all have felt the same way. So to have someone like Jesse Robredo, the antithesis of everything we know about politics, and to lose him so suddenly…it hurts, deeply. It’s unfortunate that it is only now that we can really appreciate and grasp what he means to our country. And I pray that his death will not be meaningless. Farewell, Sec. Jesse Robredo. Salamat, Sec. Jesse. I never met Sec. Jesse Robredo, unlike my twin sister who had the privilege of working with him while she was still with Synergeia. I would have loved to meet him. People have nothing but nice things to say about him. And I believe all of them. I believe them when they said, he is truly one of the Philippines’ few good men. You’d have to be a Filipino living in the Philippines to understand why we hold Sec. Robredo to such high esteem. He is a rarity. He is from an exceptional breed of rare politicians – one who actually has integrity and the credibility to lead us. For a people fed up and calloused from trapos (traditional politician) and the very worst of politics, selfish and greedy politicians who robbed the Filipinos not only money but our future and national pride, Sec. Robredo represented a light in the dark; he represented HOPE, that there are still politicians who truly want our country to rise from the darkness of poverty and corruption; that there are still politicians who live for the Filipino people. And now, it seems, the few good men just got fewer. Two days ago, Sec. 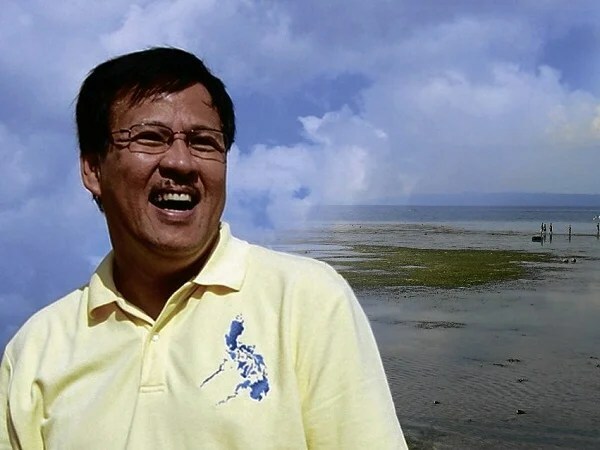 Jesse Robredo’s plane crashed in the sea somewhere in Masbate. His aide survived and was rescued, but he and the two pilots have not been found. Search and rescue operations are still ongoing, and while we’re trying to be optimistic and positive, it becomes increasingly impossible to shake the nagging thought that hope is lost. It’s been two days since the accident. 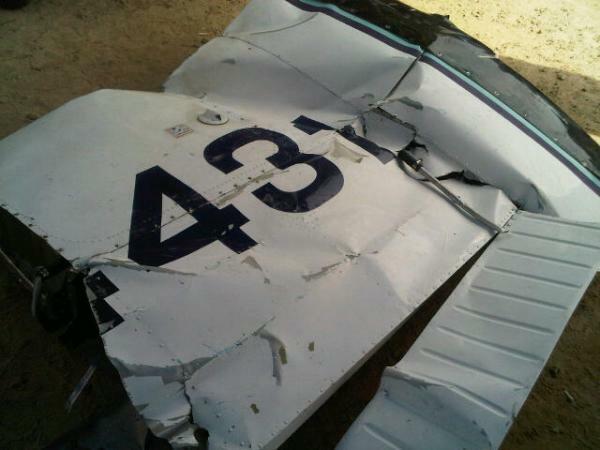 No trace of him and his party, nor any other part of the airplane except for the right wing has been found. I’m writing this deeply saddened because I cannot escape the voice telling me deep down in my heart that he is gone. I have never hoped to be so wrong than today. I remember his family and it makes me sad because it must be excruciating beyond words to not know where he is, to wake up everyday trying to cling on to hope and a miracle. I also remember the families of the two pilots, who are enduring the same thing. I cannot make sense of why this happened, in the same way many other people cannot of the tragedies that befell them. So I will not. Today, instead, I life them up in prayer. Today, I remember Sec. Jesse Robredo, a hero and a true Filipino. Because I’m a Christian who happens to love sports, I’m naturally attracted to Christian athletes, particularly with their testimonies. I think being an athlete representing Christ is such a wonderful privilege, because of the unique sphere of influence and the opportunities to share our faith in the biggest of stages. One of the athletes I have been following for a short time now is Tim Tebow, currently the starting quarterback of the Denver Broncos. I only discovered him this year. Don’t be surprised, though, because NFL is not really big in the Philippines. Our passion is basketball. Here in the Philippines, Kobe is king…for now. One of the things that struck me about Tebow is that he was born in Makati city. Yep – same city as I live in. How cool is that? One of the biggest names in NFL right now was born in Makati! A little research over at Wikipedia reveals that his parents were Baptist missionaries then. I am particularly blessed with Tim Tebow’s testimony. I have watched many of his interviews, game highlights, post-interviews, and read articles about him, and though I’ve never met him nor seen him up close, I come away feeling good about him. He is the real deal. He walks his talk and he’s never been ashamed of proclaiming Christ. In fact, his passion about his faith is apparently one of the reasons he is such a polarizing figure. People either hate him for being vocal about his faith, or people love him exactly because of it. In 2010, a new rule for the next NCAA football season, dubbed “The Tebow Rule”by media because it would have affected him, banned messages on eye paint. During his college football career, Tebow frequently wore references to biblical verses on his eye black. In the 2009 BCS Championship Game, he wore John 3:16 on his eye paint, and as a result, 92 million people searched “John 3:16” on Google during or shortly after the game. Additionally, later, when Tebow switched to another verse, there were 3.43 million searches of “Tim Tebow” and “Proverbs 3:5-6” together. Tebow stated of the searches “It just goes to show you the influence and the platform that you have as a student-athlete and as a quarterback at Florida”.